This is a photo of Polish Sgt Wlodzimierz Chojnacki in his Spitfire, possibly taken at Northolt or Kirton in Lindsey in 1942. This gentleman is now living in Australia and aged 96 with his ex-WAF wife of 68 years. He has changed his name to Don Merrill for convenience. I am interviewing him with a view to collecting his stories, which in aviation terms began in 1932 when he began to fly in Poland. The second photo at the bottom of this page is a document of Chojnacki’s first pilot’s course in 1932 (can you recognize the aircraft?). Chojnacki career as a pilot begun in 1932 in Poznan, where he got his license. He quickly distinguished himself as a skilfull aviator. By the time the war broke out, he already was a qualified fighter instructor in the Polish Air Force. Like many of his peers, after the demise of his home country Chojnacki escaped to Britain. There, for the 15 months’ in 1941 and 1942, he served with Nos. 303 and 129 Squadrons in which he flew Spitfires Mk. Vb and Vc. After the Dieppe Raid where he flew on Operation Jubilee, he was awarded the Polish Cross of Valour which was presented to him by the Polish President at a special parade, about two weeks after the operation. 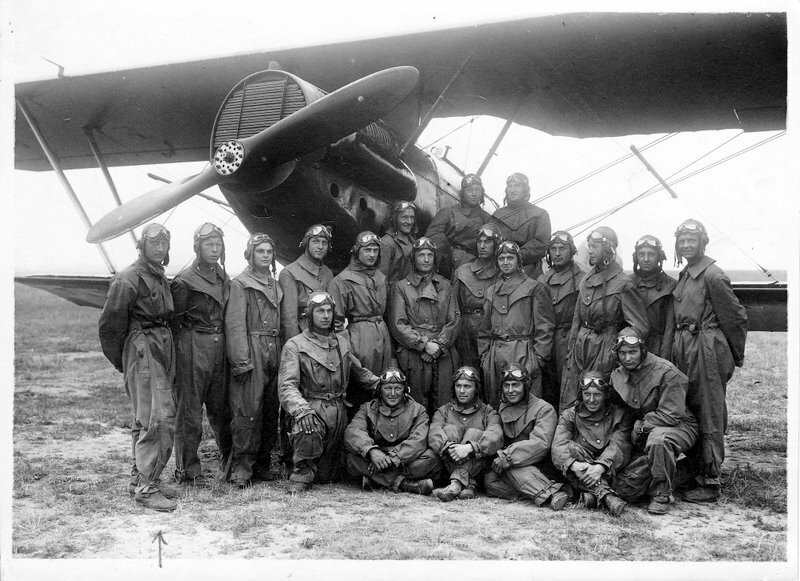 During his Flying Career, Wlodek flew nearly 4000 hours on 28 different types of aircraft. Note the two emblems on the depicted Spitfire. The right one is the circular “Kosciuszko” emblem of No. 303 Squadron, commemorating a Polish general who fought in the American Revolutionary War (note that the emblem features the stars and stripes of the American flag). 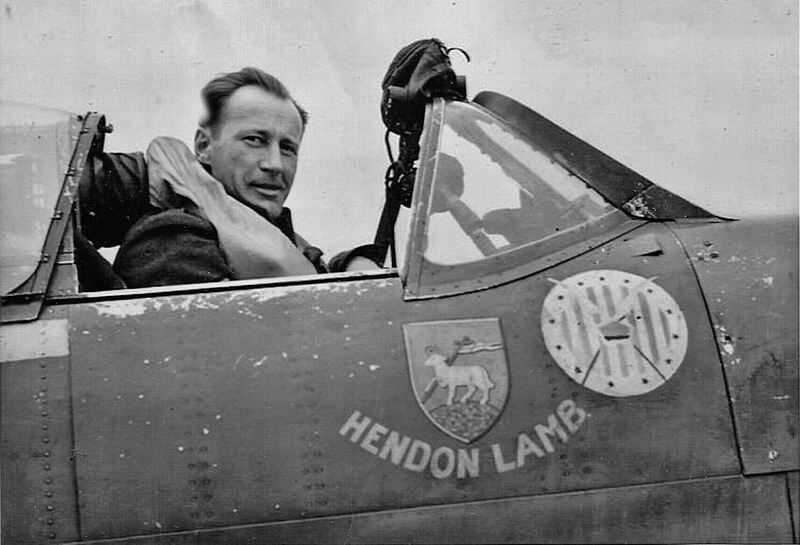 The second one, “Hendon Lamb” is a presentation name of this particular Spitfire, adorned by the coat of arms of Hendon – a Lamb carrying a St George’s Flag, which is seen on St Mary’s Church in the town. No. 303 Squadron records indicate that the “Hendon Lamb” Spitfire was W3506, a Spitfire Mk. Vb marked RF-U. This would date the photo to a period between 3 Oct 1941 (W3506 assigned to No. 303 Sqn) and 12 Apr 1942, when the same aircraft was lost. Damaged by a Fw 190 during a Circus 122 mission over France, it ditched five miles South-East off Dover; the pilot, P/O Wojda, was rescued by an RAF launch. I was very interested in this article as my father was the one who, alas, was shot down in whilst in charge of Wlodzimiez’s RF-U. After rescue and a period in hospital he did return to the squadron until late 43. Zbigniew Adam Wojda died in his 91st year 2009.